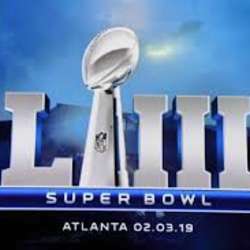 If you are interested in watching Super Bowl, but don't want to travel too far, I hope you can join us. I know someone has already organized another event at a Mexican restaurant in Dallas Oak Cliff area, but I plan to hold the event around Plano/Frisco area since I live in Plano. This event was moved from Dallas Professional Network Group by request. The Common Table is located near The Star in Frisco where Dallas Cowboys headquarters and practice facility is located, which is fitting. The Concrete Cowboy is nearby. Please note that they will add Protected content % tip/gratuity for large groups of 10 or more on the total amount regardless of what you eat and drink. Also, please make sure you are 100% attending in order to give others an opportunity to attend.